Here we are with another post from Mad Dogs and Englishmen at the Gilmore. 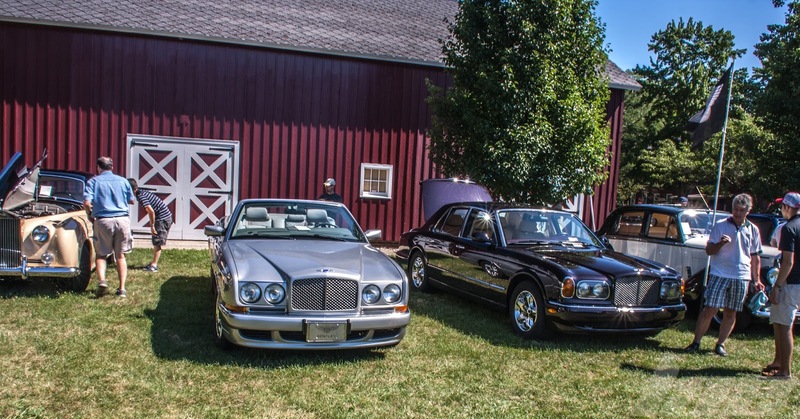 Here are a couple of the Bentleys in attendance. 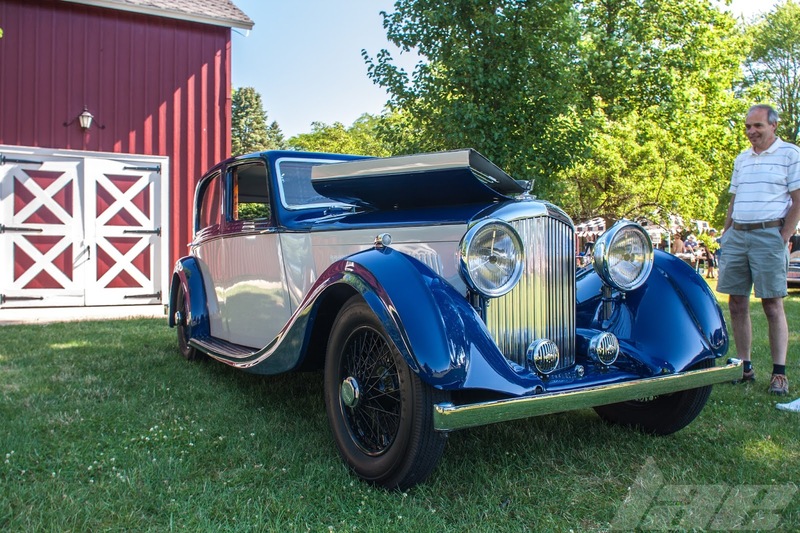 When I hear the name "Bentley", it invokes an image of pure luxury, opulence and comfort. 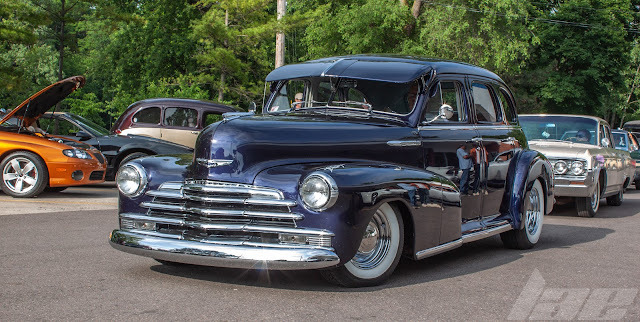 This classic example, of which I didn't catch the year or model, certainly evokes that. The interior is nicely appointed for a pre-war car. 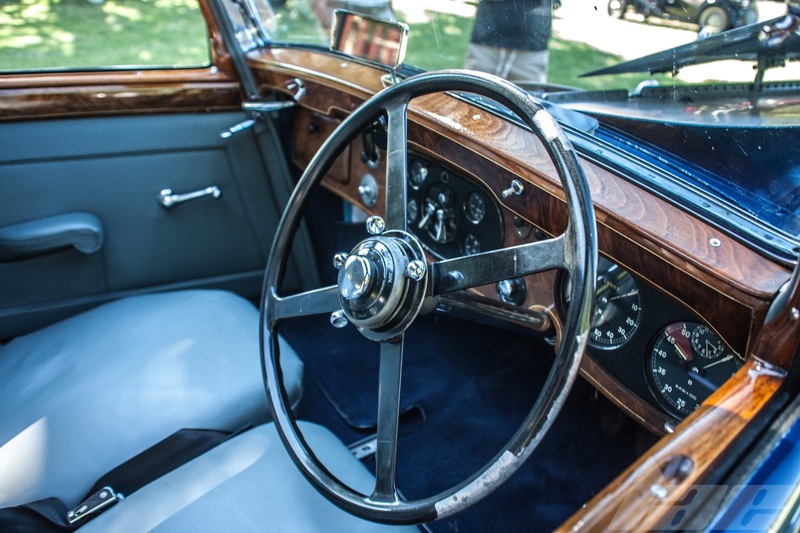 The nicely-finished wood dashboard, polished chrome and nicely crafted gauges add to the appearance of luxury. 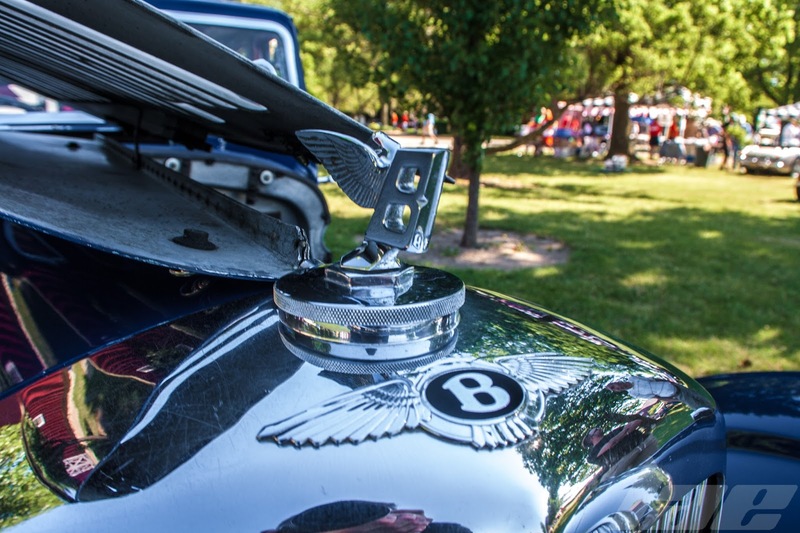 The familiar "Flying B" radiator cap lets you know that this is no ordinary car. Get out of the way, peasants. I really like the two-tone paint and black wheels. And those headlights were nearly a foot in diameter. 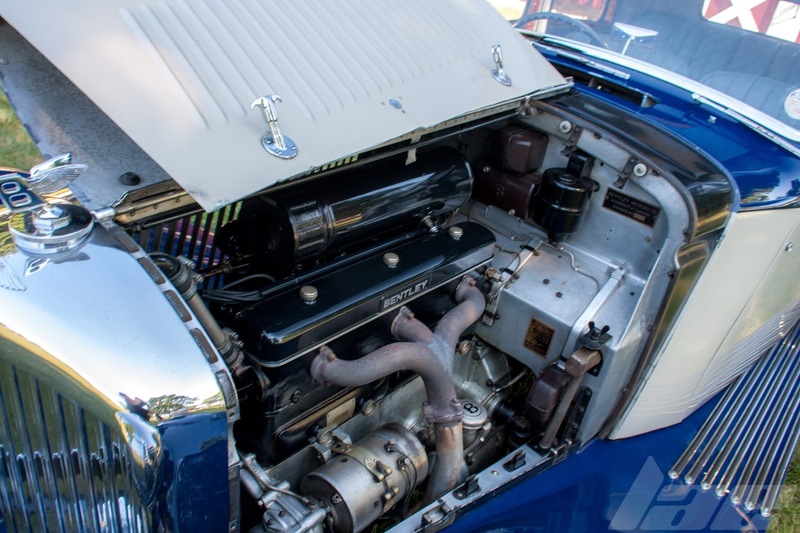 The 4.25 litre inline-6 engine looked to be in nearly concours condition. 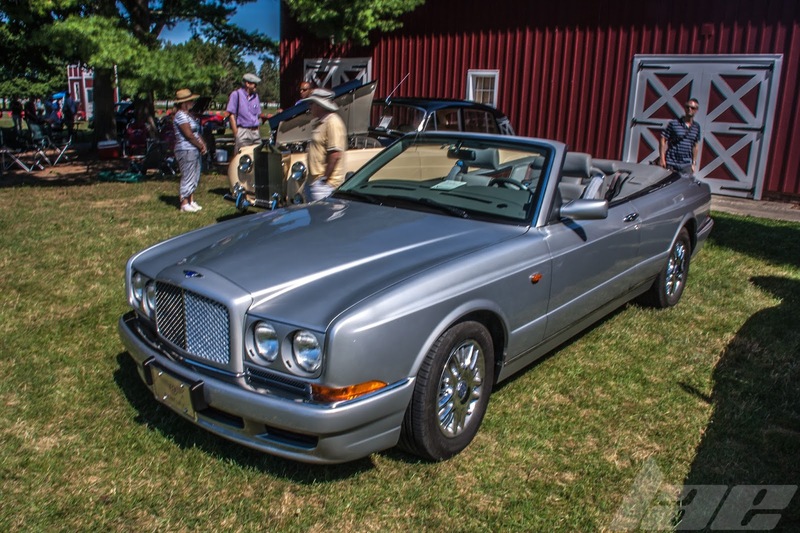 There were a few newer models present, with this Azure Drophead from the mid to late 90's, and the Arnage beside it. This car looks modern enough to not look out of place when parked beside newer models. 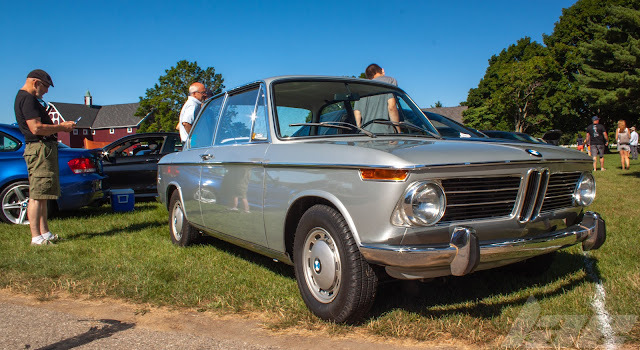 And, if I'm not mistaken, this car was built before VW bought the marque. The interior on Bentleys' never cease to amaze. This looks more comfortable than a Cadillac. I'd sure hope so, anyway. 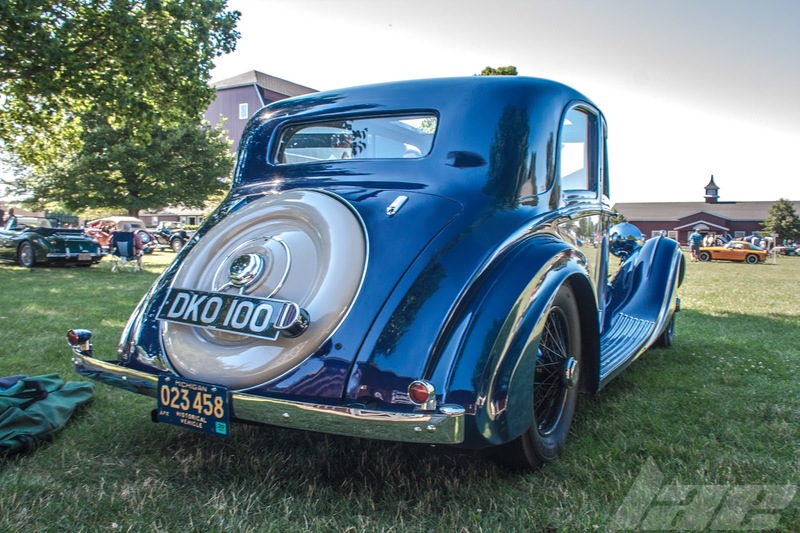 Bentleys can cost more than triple that of a Deville from the same year. 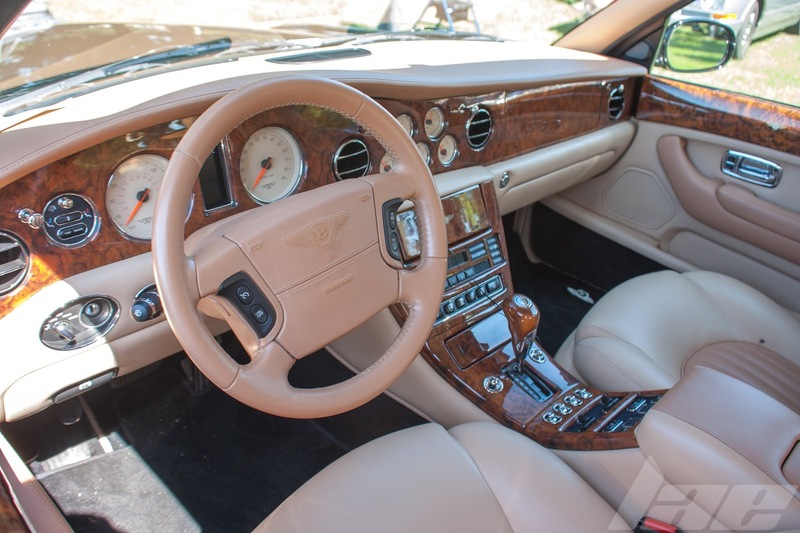 I believe this interior was from a Mulsanne or Arnage. Thanks for reading. Be sure to check back often for more!